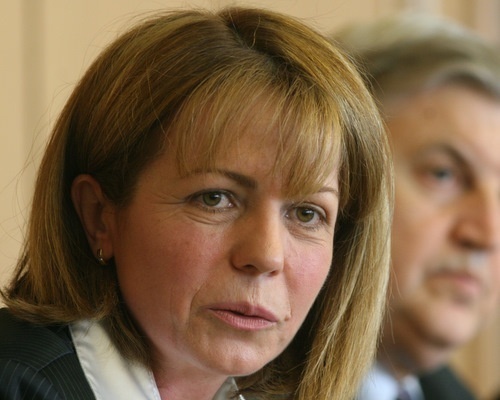 New Bulgaria Education Minister, Yordanka Fandakova, has stated that an analysis regarding what expenditure can be cut at the Ministry has already taken place. Fandakova said, speaking before the first official cabinet meeting, that roughly 5% of the Education Ministry's expenditure could be cut with out affecting its normal everyday running. She added that the cabinet would look at changes to the Ministry's budget that would allow directors of schools and kindergartens to use the financial reserves available to improve the standard of education. The new Interior Minister Tsvetan Tsvetanov also spoke before the cabinet meeting. He said that immediate measures would be taken for the segment of road from Karnobat to the highway at Stara Zagora regarding the deployment of traffic police after long traffic jams formed there over the weekend.